PanARMENIAN.Net - Musicians who play wind instruments can have dental stress and increased intraocular pressure, while those who play string instruments can have dermatitis and musculoskeletal disorders. Throughout his career, legendary Louis Armstrong suffered from calluses on his lips, which would split from time to time and make it extremely painful to play. The lips rubbed up against the teeth and caused a type of callused tissue, so once every five or six years, Armstrong would literally take a razor blade and cut the callus off. He would then have to take three to six months off from playing to let his lips heal before returning to work. Coming from a poor background in New Orleans, Armstrong was accustomed to only going to a doctor for severe conditions. Otherwise, home remedies were common among his people. So, instead of going to a plastic surgeon to fix the problem properly, Armstrong took a DIY approach. He is said to have mistreated his lips more than any other trumpet player at his time. It is rumored that Armstrong's white handkerchief was used for, among other reasons, holding a small amount of cocaine to alleviate the pain. A common problem among guitar players is the development of forearm pain, tingling, and numbness, typically on the same side that you fret the instrument. This specific type of repetitive injury is called cubital tunnel syndrome, which affects the inner side of the forearm and the pinky side of the hand. It typically involves pain and/or abnormal sensations in the elbow area, along the inner side of the forearm. The pain can travel downwards towards the pinky, and can be accompanied by tingling or numbness sensations to the pinky side of the hand. The forearm muscles can be achy, sore and painful. If the syndrome progresses, it can lead to decreased function of the hand, especially grip strength. 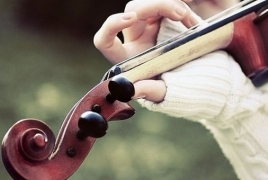 Violinists and violists often suffer from conditions in the jaw, back, neck, shoulder and hands, which can be either nerve related or muscular. The disorders are caused by repetitiveness, inappropriate postures and stress brought about by remaining seated for a long time or carrying instruments. The work of violinists and violists requires a seated position throughout the entire rehearsal and performance period. They look for the best body position, seeking balance and distribution of body weight to obtain greater motor control and precision of movements in the instrumental execution. However, the chairs do not present adjustment devices and they offer no other option than the body's adaptation to the postural requirements involved in playing the violin. The list of famous pianists with injuries is much longer than most people think: it includes Gary Graffman, Leon Fleisher, Wanda Landowska, Artur Schnabel, Alexander Scriabin, Ignaz Friedman, Sergei Rachmaninoff, Clara Schumann, Glenn Gould, Michel Beroff, Richard Goode and many others. In most cases the injury did not end the career, but it forced cancellations of concerts or tours, or restriction of repertoire. Power to move our fingers, hands and arms comes from muscles, which are attached by tendons to the parts they move. For pianists and others who engage in repetitive motion, the tendons are the weak link in the system, the structures especially prone to stress injury. Most stress injuries of the hand, wrist, arm and shoulders involve the tendons. Tendons become injured because of repeated tensing or from rubbing on nearby ligaments and bones. Subjected to constant stress, tendons may fray or tear apart, or become thickened and bumpy. The injured area may calcify. The tendon sheath is also vulnerable; it may produce excess fluid, causing swelling. The tendon may become "locked" in the sheath and move jerkily; the sheath may become inflamed and press on the tendon. Inflammation and swelling in the restricted space of the carpal tunnel can put pressure on the median nerve, leading to the tingling and numbness of the thumb and second finger which often indicate carpal tunnel syndrome. Timely treatment of these injuries is extremely important, as those hoping that the problem “will go away”, risk serious consequences.